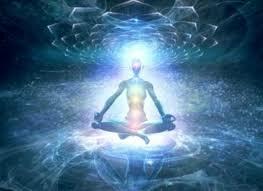 Notes On The Spiritual Life: The source of enlightenment is already within you. The source of enlightenment is already within you. I love Osho. He says the most startling things that make perfect sense to me and so when I am startled by what he says, I pause a second, and then usually wind up saying to myself, "Why, or course. That makes perfect sense." In the book "Ah, This!" Osho says on page 27, "Enlightenment is always sudden because it is not an achievement; it is already the case. It is only a remembering, it is only a reminding, it is only a recognition. You are already enlightened; you are just not aware of it. It is awareness of that which is already the case." A similar idea is expressed in A Course In Miracles in the introduction where it is written, "The course does not aim at teaching the meaning of love, for that is beyond what can be taught. It does aim, however, at removing the blocks to the awareness of love's presence, which is your natural inheritance." The way to enlightenment is to drop the ego. Give it up. Get rid of it. Purify your consciousness. Eliminate the blocks to your awareness of the Divine. This is an experience not a thought. This experience of the Divine does not come from more knowledge but from looking within and becoming aware of the All.